In the next few days, the municipal government will announce San Miguel de Allende’s comprehensive security strategy, which will target home invasion and street crime. Given the scope of the project, everyone needs to take part: from all levels of government and police agencies, private security companies, businesses and associations to the community itself, including local citizens—who are turning up in growing numbers—and representatives of San Miguel’s foreign population. Mayor Mauricio Trejo Pureco declared that the time has come to move into phase two of his administration’s security strategy. “The first stage centered on eliminating high-profile abductions and preventing organized crime from entering San Miguel de Allende. 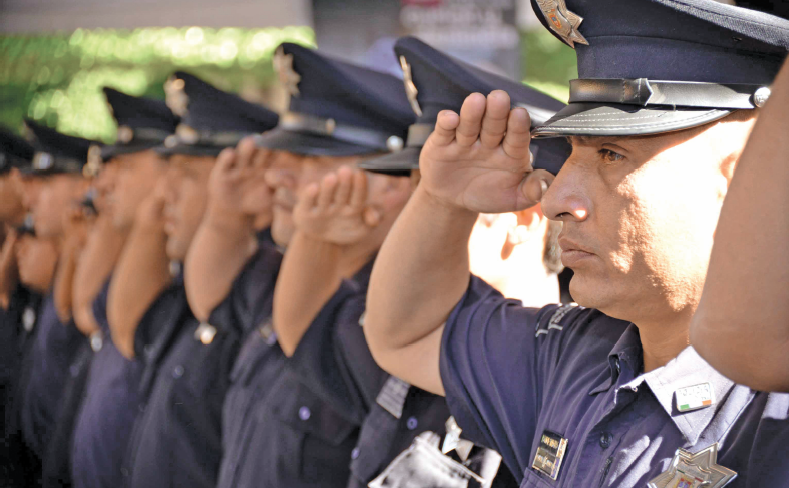 San Miguel de Allende want to make our city, the safest city in the nation, and only together, can we meet this goal,” emphasized Mayor Mauricio Trejo Pureco. Her ability to re-create extraordinary settings is what made Guadalupe Álvarez one of the most important wedding planners in the country, and she recently has been selected to attend an international event that will summon 100 of the world’s leading wedding planners. Constantly on the quest to find new ideas that will thrill her clients, Guadalupe knows that each couple is unique. For her, there is no better moment than seeing the recently-wed couple dance for the first time—in each other’s arms in the middle of the dance floor—reveling in the paradise that Penzi created exclusively for them, months in advance. For years, Guadalupe specialized in home decoration and product design. She was also on the marketing team that launched the Cabbage Patch doll. 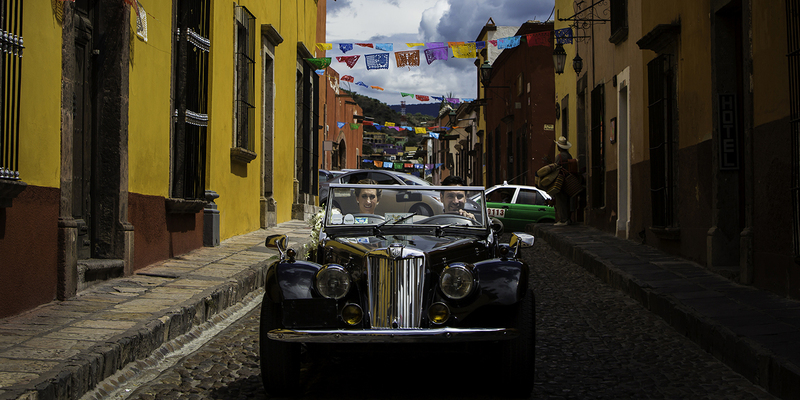 Today she is the owner, founder and creative talent behind Penzi Weddings, whose main objective is to shine a spotlight on San Miguel de Allende, inviting her clients to savor the city’s traditions and magical essence. On the authority of Guadalupe and the Penzi team, there is no such thing as the impossible. For months, they plan the exact setting that the bride and groom want for their wedding day, celebrated in the company of their family and friends. The wedding planning industry is growing at an impressively rapid rate and Guadalupe Álvarez recognizes this, after receiving an invitation to participate in the Destination Wedding Planners Congress to be held in Athens, Greece in April of this year. The Destination Wedding Planners Congress is a two-day event that unites—by personal invitation only—the finest wedding planners in the world, to share their experiences, ideas, workshops and the opportunity to promote their destination for social events. Among this elite crowd, a woman from San Miguel. 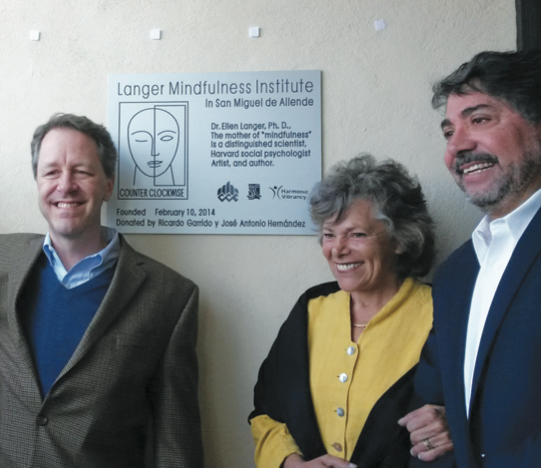 Dr. Ellen Langer, a professor at Harvard University, will be offering her expertise in mindfulness through retreats and consultations in San Miguel de Allende. These services will be available through The Langer Mindfulness Institute inaugurated this week at the Ventanas Golf and Resort and at the retreat center located at Casa de Aves, where the renowned specialist and her expert staff will work with women with breast cancer and war veterans living in the local community. This week the Harvard psychologist held a confer- ence at the Rosewood Hotel, during which she described her methodology and the work that will be conduct- ed at the two San Miguel support centers. During her address, Dr. El- len Langer underlined the importance of living mind- fully, an approach that can help people suffering from emotional instability to create a foundation and strategies to lead better lives. One topic examined during her presentation was the possibility of reversing the aging process, achieved by focusing your mind and your body on everything you do. Part of her work will involve helping disease- ridden patients realize that their ailments can be used to improve the qual- ity of their lives, occasionally enabling them to reverse the damages. Dr. Ellen Langer’s conference was set up by mem- bers of the Business Co- ordinating Council and other organizations.